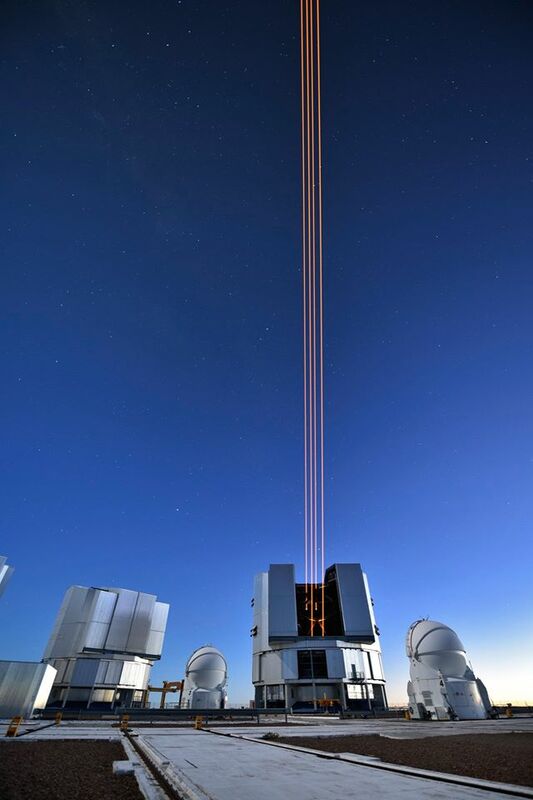 Laser guide star system at the Paranal Observatory. 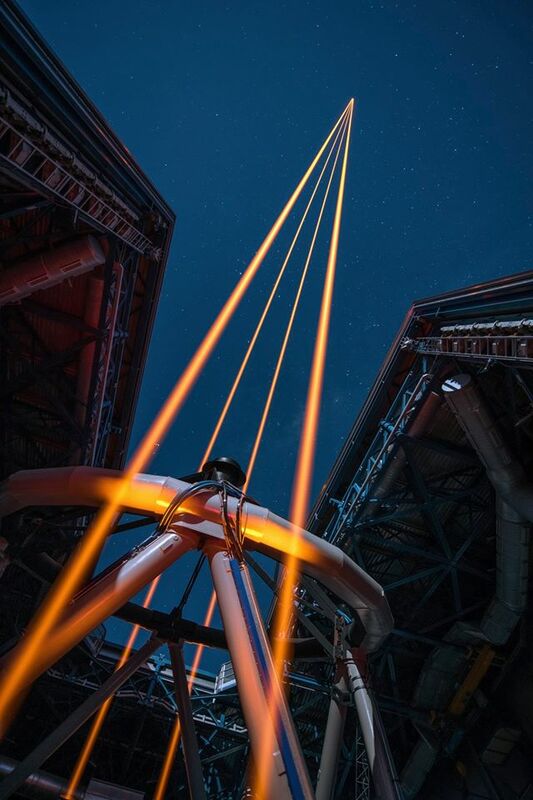 This spectacular image shows the four beams emerging from the new laser system on Unit Telescope 4 of the VLT. 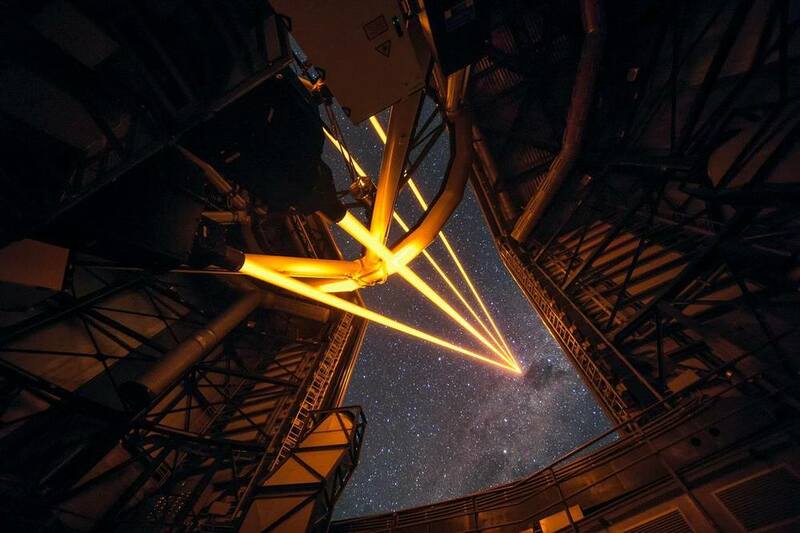 On 26 April 2016 an event at ESO’s Paranal Observatory in Chile marked the brilliant first light for the four powerful lasers that form a crucial part of the adaptive optics systems on ESO’s Very Large Telescope. 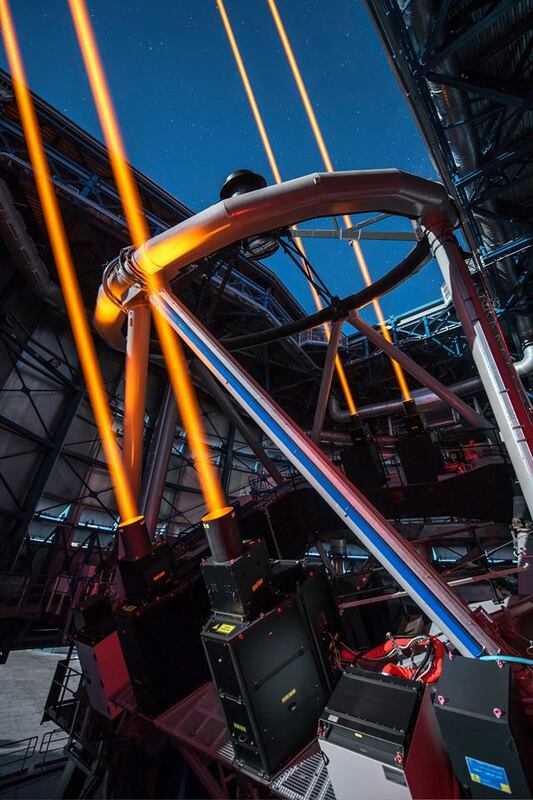 Attendees were treated to a spectacular display of cutting-edge laser technology against the majestic skies of Paranal. These are the most powerful laser guide stars ever used for astronomy and mark the first use of multiple laser guide stars at ESO.